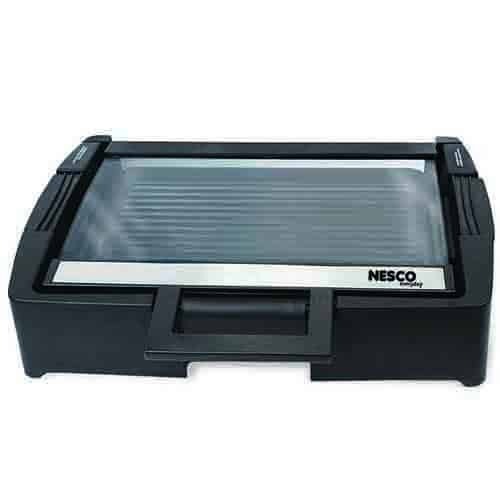 The Nesco® Grill with Glass Lid gives you versatility in your kitchen, camper, RV or at the office. Foods can be grilled, cooked or just kept warm inside the grill. 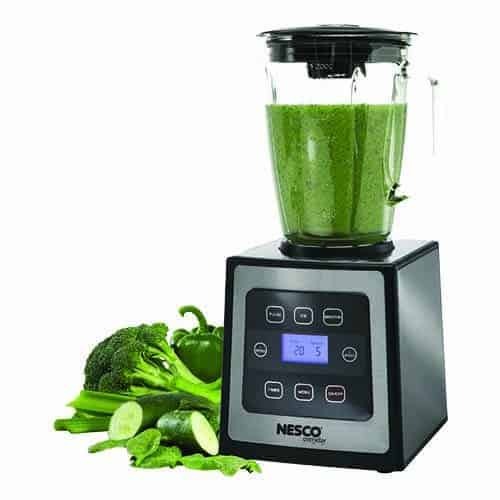 Whether making breakfast, lunch or dinner, use this grill for making french toast, sandwiches, fish, burgers or steak, all with this one convenient appliance. 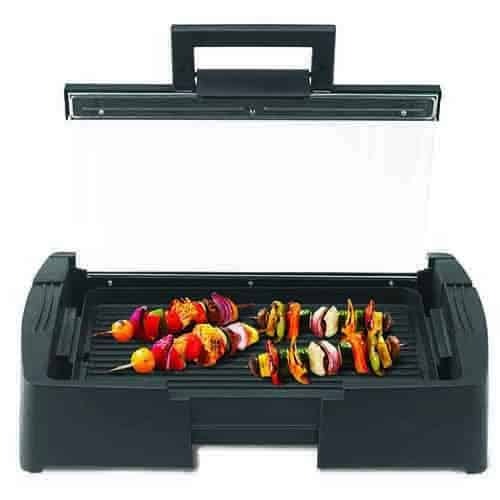 The grill becomes an oven with the lid closed. The premium non-stick interior makes cleanup easy and fast, while the tray catches grease. 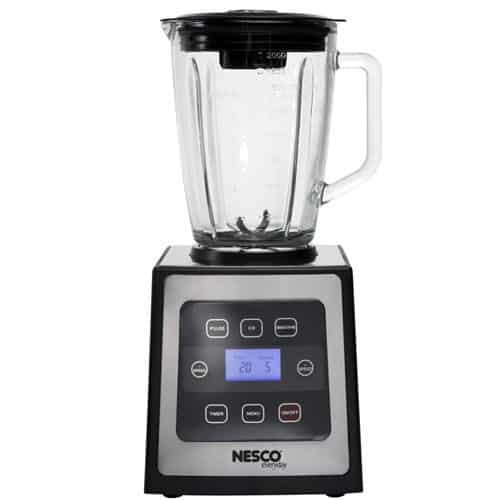 All parts are dishwasher safe with the temperature probe removed.